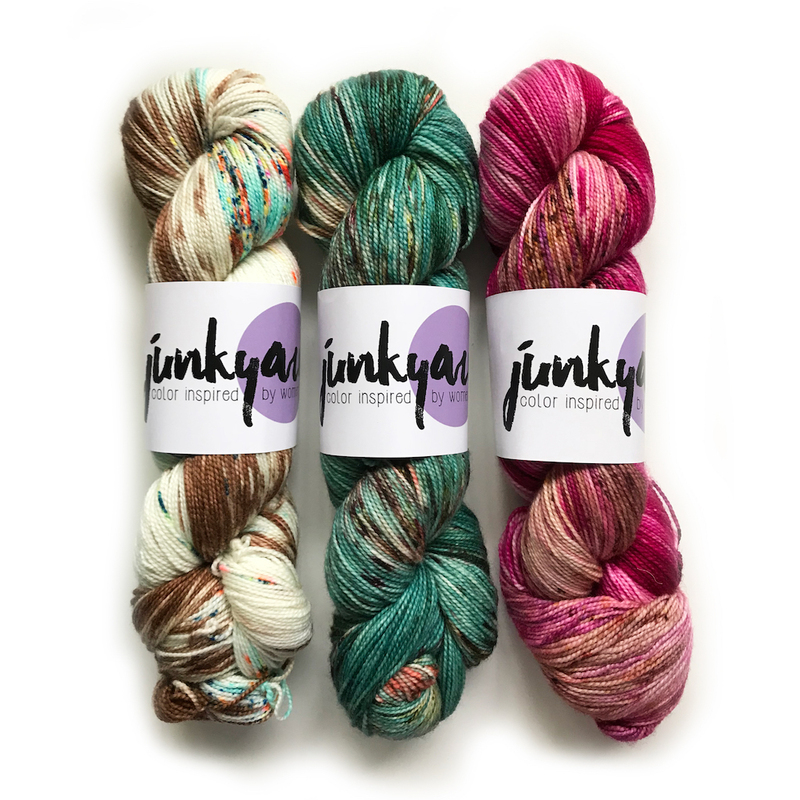 Featured in our July 2018 KnitStitch kits, each skein of Boss Sock from Junkyarn knits up with utmost confidence. And like a boss, it is tough, versatile, and full of inspiration. Each on-trend speckled skein is named after a strong, influential woman, like Rey from Starwars, Hermoine from Harry Potter, and Dian Fossey who helped pave the way for girls in science. Look her up!